Men Behaving Badly screened on British TV from the years 1992 to 1999, and positions itself as a sitcom exploring ‘lad culture’, gender roles, and the differences and similarities between men and women. 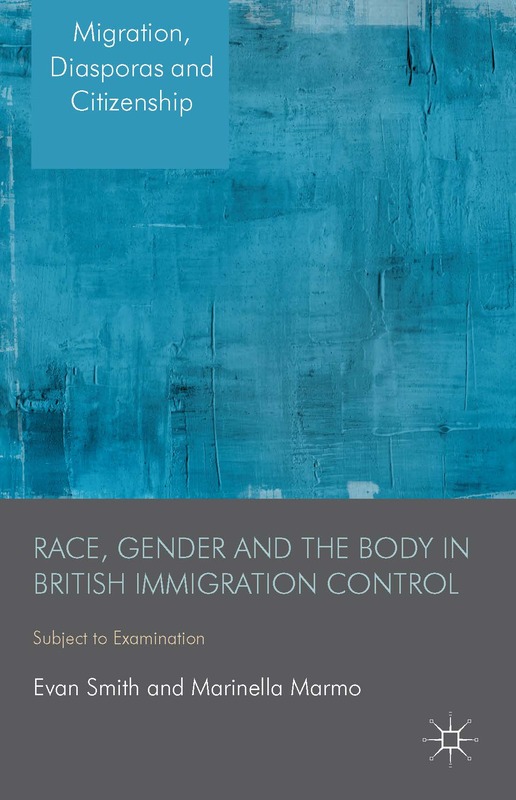 Yet less obviously, alongside this explicit gender focus, Men Behaving Badly illustrates changing trends in cultural representations of work and unemployment during the 1990s. In particular, the characters of Tony and Deborah in series 3 through to 6 go through experiences of unemployment which indicate some tendency towards the phenomenon being normalised. On the one hand, Tony’s experience of carefree unemployment represents a shift towards the greater acceptability of unemployment as an economic reality. Yet on the other Deb’s experience is much darker, and the show doesn’t flinch from describing her depression and soul-searching after losing her job. Moreover, Gary’s steady job is presented as unfulfilling, further complicating the picture and suggesting that ‘jobs for life’ are not necessarily an ideal outcome. Series 3 of Men Behaving Badly was broadcast in 1994, while the British economy was still experiencing the effects of the 1987 financial crash. While the British economy was officially out of recession by 1993, this growth was shaky and unemployment levels were at nearly 3 million. In this series, Men Behaving Badly first started to deal with the unstable job market. Deborah: What happened to your record business? Tony: It just collapsed, you know. Deborah: It’s the recession, isn’t it. Tony: No, I mean I came back one lunchtime and half the stall had collapsed and smashed most of the records. Gary: Well Tony’s my charity, isn’t he, he never pays me any rent. I’m running a one-man shelter group here, I could get a grant from the council for my work with Tony. DEBORAH: I haven’t worked for ages, I don’t do anything all day, if it wasn’t for worrying about bedsores I probably wouldn’t get out of bed at all. She gets another job quickly but is made redundant again between series 4 and 5. She becomes depressed again, closing herself in her flat in the dark ruminating over her unpaid bills (S5E1). Deborah resolves this not by getting another job in the restaurant industry, but by choosing to go back to university to study psychology – effectively taking the opportunity to spark a career change. This decision to embark on further study was increasingly common over the 1990s for those with financial means to do so. It also reflects Deborah embracing an adaptive stance in an environment where the idea of a steady job for life, or even career path for life, is no longer something that she expects. The world of steady employment, most frequently seen through Gary’s job in a security firm, is not necessarily seen as ideal, secure, or happy. Gary’s job is not a source of pleasure to him, yet he has given most of his life to it, starting as an office junior straight out of school, and working up to the position of regional manager. George and Anthea, Gary’s employees who have been with the company for decades, are pleasant but self-consciously dull characters who are resigned to their lot in life. When Gary is discovered to have saved £33,000 over the course of his working life, while his hoarding is criticised by the other characters who attempt to get their share, Dorothy recognises too that this has been Gary’s reward for “spending 15 years in a job you hate”. Unlike Deborah, Gary does not consider career change despite being bored at work; while not trapped in this job, it is presented chiefly as a tool for Gary to pursue his main interest of getting drunk after work. Yet ultimately the show is centred around a celebration of the leisured life Gary can lead because of his job. Gary’s, and indeed Tony’s leisure depends on Gary’s labour. Gary’s endurance of tedious, unfulfilling work is the foundation on which the series rests, facilitating the very ‘lad culture’ which appears to reject the notion of responsible work. In the post-industrial Britain of Men Behaving Badly, increased leisure is built into the economic structure, not only through the celebration of consumption, but also through the redefinition of unemployment as both necessary and potentially positive. While on one level Men Behaving Badly celebrates this relationship of work to leisure, the darker realism of Deborah’s experiences of unemployment challenge the idea that Gary’s lifelong job, and general lifestyle, is perpetually secure or sustainable. As such the economic concerns explored in Men Behaving Badly are more complex than might immediately appear when exploring the gendered reading the show elicits on the surface. Its depictions of work, leisure, and unemployment are ambiguous at times, with its supposed celebrations of ‘lad culture’ undercut by a sense of living on borrowed time. Men Behaving Badly is ultimately an uneasy celebration of post-Thatcher Britain, one which relates to its economic setting with trepidation as well as acceptance. I’m pleased to announce that I will be presenting my paper ‘A Blueprint for the “War on Terror”: Counter-Terrorist Operations and Monitoring Middle Eastern and North African Visitors to the UK in the 1970s-80s’ at the 2013 Critical Criminology Conference, to be held at Flinders University’s City campus (Victoria Square). The draft program can be found here. I’m excited to be on the same panel as Willem de Lint, Sharon Pickering and Leanne Weber! If you’re attending the conference, come and say hello. The provisions of this Part, except in so far as they apply in relation to designated overseas missions, are intended to assist in giving effect, on the part of Australia, to the special duty imposed by international law on a state that receives a diplomatic or special mission, or consents to the establishment of a consular post, to take appropriate steps to protect the premises of the mission or post against intrusion or damage, to prevent any attack on the persons, freedom or dignity of the personnel of the mission or post and to prevent disturbance of the peace, or impairment of the dignity, of the mission or post. In various government documents and parliamentary speeches, the Liberal Government stated that they felt duty bound to include Part III of the Act (relating to the protection of foreign representatives and their posts) because of their obligations under the Vienna Convention (although the Convention had been signed almost a decade earlier). 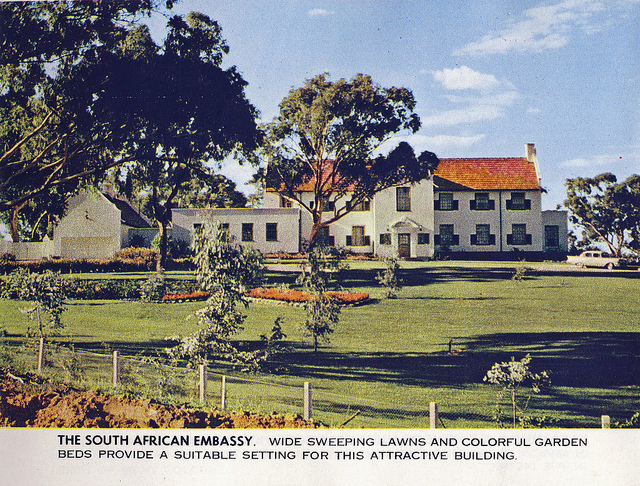 It was essentially admitted to by the Government that the Act was to protect the United States, South African and South Vietnam embassies, which were under increasing pressure by the radical protest movement that grew in Australia in the late 1960s and early 1970s. At the same time, my friend Gavin Brown has been working on this project, looking at the non-stop picket against Apartheid, outside the South African Embassy in London in Trafalgar Square between 1986 and 1990. What I found fascinating was that the picket, despite harassment by the police , was allowed to occur and that there was little legislative action that the authorities could effectively take against the protest. I wondered whether the UK had similar legislation to Part III of the POA regarding protests within the vicinity of embassies and consulates. After asking some academic friends, I hadn’t been able to find anything. Gavin had said that the formal protection of embassies and consulates (as required under the Vienna Convention) was rarely an issue and that if the non-stop picket ever fell foul of the law, much more mundane public order legislation was used. I am an Australian academic and am currently conducting research into the policing of protests at foreign embassies in Australia and the UK since the 1960s. I am writing to enquire whether there is specific legislation in the UK that concerns the protection of foreign embassies, consulates and representatives (in line with the Vienna Convention on Consular Relations). I am particularly interested in finding out whether there is UK legislation that deals with public disorder and unruly/violent behaviour in the vicinity of foreign embassies or consulates. (Similar to Part III of the Public Order (Protection of Persons and Property) Act 1971 (Cth) in Australian legislation). The matters you have raised are the responsibility of Foreign & Commonwealth Office. I am not aware of any specific UK legislation that deals with public disorder and unruly/violent behaviour in the vicinity of foreign embassies or consulates, only that we abide by the Vienna Convention on Consular relations. I am sorry I could not be more helpful. I will, in the meantime, forward your email to the Home Office, who are responsible for any legislation regarding protection of foreign missions in the UK. Two questions must be asked about this sorry affair, and I ask my right hon. Friend the Leader of the House to take the first of them to the Foreign Secretary. Are the Government fulfilling their obligations under the Diplomatic Privileges Act 1964, under which a responsibility is placed on the receiving state to protect the peace and dignity of a diplomatic mission as well as the persons and possessions relating to such a mission? Under the Vienna convention we are ignoring our responsibilities by allowing this demonstration to continue in its present form. The second question is whether the Government are wholly satisfied that the police have to rely on local byelaws to arrest those who offend, and that cases can be brought only against individuals, not against groups. Will my right hon. Friend ask our right hon. Friend the Home Secretary to consider bringing in legislation to prevent this sort of thing happening to embassies? If anyone has any further information into the legislation used to police protests outside embassies in the UK, please get in touch. Labour Monthly – a long-running monthly journal edited by CPGB theoretician R. Palme Dutt. Officially it was not a CPGB publication, but unofficially, it carried the Party line set out by Dutt. Marxism Today – established after the crisis of 1956 to enable ‘discussion’ between CPGB members, the journal was a pretty standard publication under the editorship of James Klugmann. When Martin Jacques took it over in 1977, it marked the beginning of the journal as a lightning rod for the ‘Eurocommunist’ wing of the Party. Anglo-Soviet Journal – I don’t know much about this journal, but it seems to be a Soviet publication in English. It was advertised in the CPGB press throughout the 1940s and 1950s. The Communist – This journal runs from the late 1920s (when the CPUSA was still officially the Workers Party of America) to the 1940s (before the Cold War begins). David Renton has posted a substantial discussion of the ‘IS tradition’ on his blog and discusses the problems faced by the SWP in the 1990s, including how the theory of state capitalism applied in the post-1989 era. I thought I would post this section from a paper I wrote back in 2009 (subsequently published here) on the SWP and the impact of 1989. The Socialist Workers Party (SWP) had originally made a name for itself as the International Socialists (IS) and were a Trotskyist group based around the ideas of Tony Cliff and Michael Kidron, who rejected the orthodox Trotskyist notion that the Soviet Union was a ‘degenerated workers’ state’, instead claiming that the Soviet Union’s adherence to the policy of ‘socialism in one country’ had created ‘state capitalism’. Expelled from the Trotskyist Fourth International, Cliff, Kidron and others such as Duncan Hallas formed the Socialist Review Group (SRG) in the mid-1950s, which like the other Trotskyist tendencies at the time was an entrist group within the Labour Party, before becoming an independent organisation, the International Socialists, in 1965. Initially buoyed by the radicalism generated by the anti-Vietnam War movement and the events of Paris in May 1968, the IS moved away from student radicalism and implemented a ‘Turn to the Class’, which saw a reorganisation of the group in a Leninist structure and an emphasis on the heightened industrial militancy of the early 1970s. Membership steadily increased between 1968 and 1974 as the International Socialists depicted itself as a revolutionary alternative to the reformist alliance of the CPGB and the trade union bureaucracy. Despite several factional battles between 1973 and 1976, the International Socialists still adhered to the notion that it would form the base for a Leninist revolutionary party and in late 1976, the group changed its name to the Socialist Workers Party, although its worker membership was still minimal. Possibly the most prominent organisation to the left of the Communist Party (the only other contender would by Militant, who remained an entrist group inside the Labour Party until the mid-1990s), it was still much smaller than the CPGB, but the SWP maintained that the CPGB’s membership was in steady decline and the number of active members was much lower than the official membership totals. Exact membership figures for the SWP are difficult to locate, but according to John McIlroy’s research, SWP membership seemed to peak in 1978 with 4,200, then dropping slightly to 4,100 in 1980, while other sources state that ‘[o]ver the next few years the party lost small groups but appears to have consolidated at this level’. 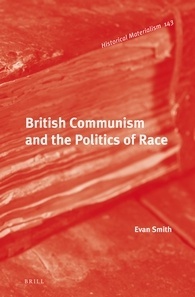 By the late 1980s/early 1990s, the publications of the SWP, Socialist Worker (a weekly newspaper), Socialist Worker Review (a monthly magazine) and International Socialism (a quarterly journal heavily dedicated to theoretical writings), were widely read and publicly portrayed the SWP as a recognisable, if not influential, force on the British left – an identifiable alternative to the CPGB, who were fading quickly. State capitalism fitted the facts. Since 1929 the Stalinist bureaucracy had, through collectivisation of the farms and forced industrialisation in the cities, massively accumulated capital. It behaved like any other capitalist ruling class by exploiting the workers and competing internationally… It differed from other capitalisms only in that formally all the means of production were owned by a corporate group – the state bureaucracy – rather than private individuals. For Cliff, this idea tied into more practical socialist activism as it ‘put the concept of the emancipation of the workers as the act of the working class itself back at the centre of Marxism’, which complemented the SWP’s other strategies, such as the rank-and-file movement within the trade unions. Seeing that state capitalism is the extreme theoretical limit which capitalism can reach, it necessarily is the furthest away from traditional capitalism. It is the negation of capitalism on the basis of capitalism itself. 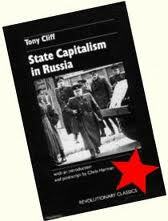 Cliff argued that by comparing state capitalism with ‘traditional capitalism on the one hand, and with a workers’ state on the other’, it was possible to ‘show that state capitalism is a transition stage to socialism, this side of the socialist revolution’. However during the final days of the Soviet Union, John Molyneux wrote in the Socialist Worker that ‘all theories which identify the USSR as in some sense socialist,… or more progressive than Western capitalism must lead either to equivocation and paralysis or to condemnation of socialism.’ If state capitalism was ‘a transition to socialism’, as Cliff put it, then the collapse of the Soviet system between 1989 and 1991 posed several theoretical problems for the SWP, with three main, but diffuse, effects upon the Socialist Workers Party. although we could not foresee the exact timing of the [August 1991] coup or the detailed character of the popular response to it, neither took us by surprise. Nor are we all that shocked by the demise of the CPSU. The editorial for the Socialist Worker Review in March 1990 declared that the Party ‘cheered as workers tore down tyrant after tyrant in the final months of 1989’ and ‘shed no tear for the collapse of a system which was the complete opposite [of socialism]’. However this left the theorists of the SWP to explain what happened after the Wall fell down and the ruling parties of Eastern Europe disintegrated. [w]orld capitalism has outgrown the stage of state capitalism. But it would be wrong to label what has replaced it as ‘private capitalism’ or even ‘market capitalism’, as if the role of the state had disappeared. What exists is a combination of state capitalism and multinational capitalism. I call it ‘multinational capitalism’ for short, but its components develop from national state capitalists bases and never completely break from them. Like other teleological predictions made by Marxists in the past, such as the collapse of the European empires would usher in socialist revolutions across the world or that a World War would leave the capitalist West severely weakened, the collapse of the Soviet Bloc in the late 1980s and early 1990s did not see a workers’ revolution appear from its ashes. But this was not meant to totally dishearten non-Soviet styled socialists in the West or in Eastern Europe, as Harman argued that it was merely a transition from one form of capitalism to another. This was not to be seen as a progressive step, but to say that it was a step backwards would be to admit that there was some progressive element to Soviet styled socialism. To avoid the theoretical dilemma presented by the collapse of the Soviet Bloc and the new capitalism that was developing in Eastern Europe, Harman claimed that ‘the transition from state capitalism to multinational capitalism [was] neither a step forward nor a step backwards, but a step sidewards’. In the days following the collapse of the August 1991 coup, the Socialist Worker declared that these events brought ‘the workers of the USSR closer to the spirit of 1917’ and now that the ‘barrier of Stalinism’ had been removed, the political and social upheaval presented an opportunity for workers to push for ‘real socialism’. But at the same time, the SWP warned against an unrealistic optimism after 1989 and like many others, stated that the transition to Western capitalism would bring many negative effects. Discussing the first elections in Hungary and East Germany in the post-Soviet era, the Socialist Worker Review noted ‘the extent to which parties with pro-Western, openly anti-socialist ideologies [were] the immediate beneficiaries of the collapse of Stalinist state capitalism’. For the SWP, the events from 1989 to 1991 simply saw the transition from state capitalism to multinational capitalism, which would result in very little change for the people of Eastern Europe. As Alan Gibson wrote, ‘[w]hat has happened is a shift from one form of capitalism to another, not a fundamental change in the class nature of those countries’. [i]n Eastern Europe over the last six months we have seen the cumulative collapse of the old ruling parties. But the enterprise heads, the ministry officials, the generals, even most of the police chiefs, remain in place, untouched by the changes, discussing which of the new parties to back and dominate, trying to ensure that they get new governments to push their new models of capital accumulation. [t]hose who managed to retain or attain positions of power in Soviet society rapidly discovered that each of their interests were no longer aligned – the Russian politician was ranged against the kleptocrat, who sneered at and obstructed the entrepreneur, who fought with the bureaucrat, who made a deal with the mafia. The market had divided them; and they would never be reunited. All this may be so, but with the collapse of the Eastern Bloc, the SWP’s theory of state capitalism, despite the Party’s insistence that it was the key to understanding the demise of the Soviet Union and the way forward, became largely a historical (and possibly irrelevant) debate. 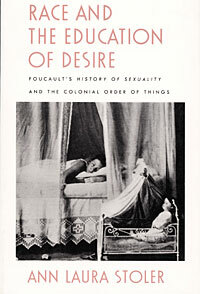 While declaring that the theory of state capitalism was ‘the only theoretical foundation from which socialism [could] now be confidently advanced’, John Molyneux also joked that ‘[f]or many years the theory of state capitalism could seem like an obscure and abstract exercise in name calling.’ The SWP had long relied on their theory of state capitalism to help differentiate themselves from other Trotskyist groups, but now the end of the Soviet regimes in Eastern Europe lessened this difference and the ‘brand name’ of the Socialist Workers Party as the ‘state capitalists’ amongst the British left and Trotskyist circles. 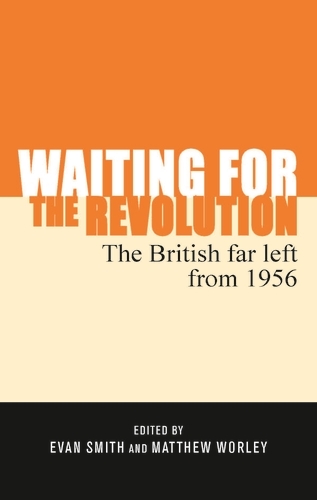 In the end, these theoretical dilemmas were overlooked in the SWP and apart from an initial flurry of articles, as well as Harman’s extensive tract in mid-1990, the Party didn’t have much introspection on the collapse of the Soviet Bloc. 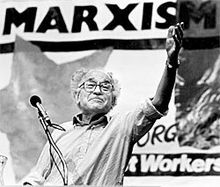 With the winding up of the CPGB in 1991, the SWP’s largest rival on the left had disappeared and the Party were able to mobilise people around issues such as the Gulf War, the 1992 elections and the rise of the British National Party. While the SWP was able to make some headway in the absence of the CPGB and the Party’s presence was highlighted by its work within campaigns such as the Anti-Nazi League, there were other areas where the SWP had failed to make an impact and several important political developments within British politics, particularly involving the labour movement, that the SWP ‘missed the boat’ on. As Murray Smith wrote in 2002, ‘big political battles also took place in the Labour Party, from which they were absent. The struggle for Liverpool City Council took place. [And] The SWP got the whole question of the poll tax disastrously wrong in Scotland’. The absence of the SWP from these ‘political battles’ allowed another Trotskyist group to take the initiative and promote itself as a viable left-wing alternative – Militant, a long-standing entrist group within the Labour Party, which finally emerged in the mid-1990s as the independently organised Socialist Party (of England and Wales). John McIlroy, ‘“Always Outnumbered, Always Outgunned”: The Trotskyists and the Trade Unions’, in John McIlroy, Nina Fishman & Alan Campbell (eds), British Trade Unions and Industrial Politics vol II: The High Tide of Trade Unionism, 1964-79, Ashgate, Aldershot, 1999, p. 285; Peter Baberis, John McHugh & Mike Tyldesley (eds), Encyclopaedia of British and Irish Political Organisations, Continuum International Publishing Group, 2005, p. 167. Socialist Review was titled Socialist Worker Review between 1984 and 1991. Marcel van der Linden, Western Marxism and the Soviet Union, Haymarket Books, Chicago, 2009. T. Cliff, State Capitalism in Russia, p. 170. John Molyneux, ‘Sticking to Principles’, Socialist Worker, 31 August, 1991, p. 9. Tony Cliff, ‘Earthquake in the East’, Socialist Worker Review, December 1989, p. 11. Chris Harman, ‘On the Precipice’, Socialist Review, September 1991, p. 5. ‘The Future of Socialism’, Socialist Worker Review, March 1990, p. 3. Chris Harman, ‘The Storm Breaks’, International Socialism, 2/46, Spring 1990, p. 46. C. Harman, ‘The Storm Breaks’, p. 46. C. Harman, ‘The Storm Breaks’, p. 82. ‘Now Fight for Real Socialism’, Socialist Worker, 31 August, 1991, p. 3. ‘New Faces Old Problems, Socialist Worker Review, April 1990, p. 5. Alan Gibson, ‘The End of Stalinism’, Socialist Worker, 20 April, 1991, p. 10. C. Harman, ‘On the Precipice’, pp. 5-6. C. Harman, ‘The Storm Breaks’, p. 66. C. Harman, ‘The Storm Breaks’, p. 67. David Lane & Cameron Ross, ‘The Changing Composition and Structure of the Political Elites’, in David Lane (ed. ), Russia in Transition, Longman Books, London, 1995, p. 75. David Lockwood, The Destruction of the Soviet Union: A Study in Globalization, Macmillan, Houndmills, 2000, p. 143. J. Molyneux, ‘Sticking to Principles’, p. 9. Murray Smith, ‘Where is the SWP Going?’, International Socialism, 2/97, Winter 2002, p. 43. Not to be confused with the Socialist Party of Great Britain, a non-Leninist party that was established in 1904 and had originally been affiliated with the Second International, refusing to join the Bolshevik inspired Communist Party of Great Britain in 1920. On 15 June, 1974, Kevin Gately, an anti-fascist demonstrator and student at Warwick University, was killed during a demonstration in Red Lion Square in London, in a clash between police and anti-fascist demonstrators opposing the National Front’s meeting at Conway Hall. Next year will be the fortieth anniversary of his death. The following is an excerpt from my PhD thesis on the demonstration at Red Lion Square and the aftermath of Gately’s death, with a particular emphasis on the division between the Communist Party (the focus of my thesis) and the Trotskyist left, the International Marxist Group (IMG) and the International Socialists (IS) (A wider discussion of the left and anti-fascism in the 1970s can be found in my article here). On June 15, 1974, the National Front had organised a march through London, ending at Conway Hall in Red Lion Square. Liberation (formerly the Movement for Colonial Freedom) organised a counter-demonstration that was to end with a meeting outside the hall, which was supported by the CPGB, the IS, the IMG and many other groups within the labour movement. However as Nigel Copsey noted, ‘Unbeknown to Liberation… was the determination of the IMG to organise a mass picket at the main entrance of the hall thereby denying the NF access’. The police, with what Lord Scarman later described as a ‘concern… with maintenance of public order’, attempted to disperse the IMG contingent that were blocking the NF’s access to Conway Hall. The IMG members refused to be dispersed and according to Lord Scarman’s report, ‘when the IMG assaulted the police cordon there began a riot, which it was the duty of the police to suppress, by force if necessary’. It was in this initial violent clash between police and militant anti-fascists, lasting for less than fifteen minutes, that Kevin Gately, a student from Warwick University, was fatally injured. Gately died from a brain haemorrhage stemming from a blow to the head. Further clashes between police and anti-fascist demonstrators occurred throughout the day, with the end result being that ‘one person died, 46 policemen and at least 12 demonstrators were injured, 51 people arrested and the whole police operation had cost an estimated £15,000’. The Communist Party had supported the counter-demonstration organised by the London Area Council of Liberation. In the Morning Star on 15 June, 1974, an article urged people to support the counter-demonstration, including an appeal by leading trade unionists, stating that the NF’s ‘poisonous ideas are a threat to all that is best in our society’. 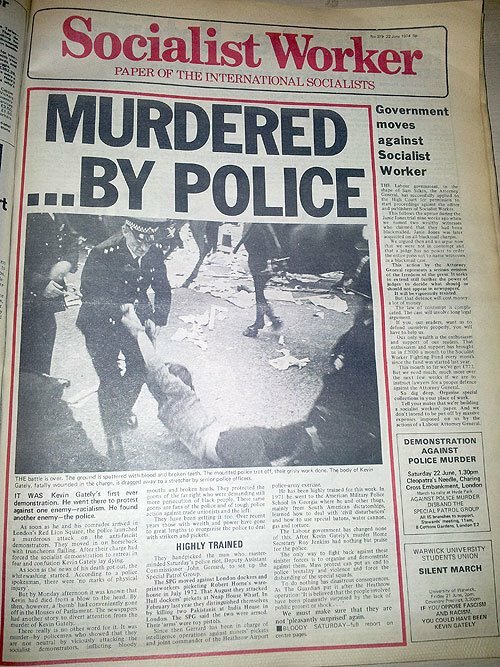 In the aftermath, the Morning Star declared that ‘blame for what occurred… must be placed where it belongs – on the authorities for permitting it, and the police for brutality’. The march by the NF was in violation of the Race Relations Act, the CPGB claimed and on these grounds, the march should have been banned. Appealing to the repressive apparatus of the State, such as the police, the judiciary and the Home Office, to deal with fascists, plus criticism of the police showed an inconsistency in the Communist Party’s strategy, which believed the State could be utilised to counter the NF, while the police were hostile to the left and far from impartial. As London District Secretary Gerry Cohen wrote in the Morning Star, ‘The police, like the National Front, are on the side of the exploiting class. They operated on that side with thoroughness and with fury on Saturday in Red Lion Square. And Kevin Gately died’. The CPGB and Liberation emphasised the peaceful nature of their march, quoting Gilbert as saying, ‘At least 99.9 per cent of the 2,000 people there were absolutely peaceful and they were attacked’. The IMG were condemned by the CPGB for aiming at confrontation. The anti-fascist movement needed to appeal to the broader progressive and labour movements, according to Cohen, ‘but what this small section of the march did was to make this more difficult’, as the IMG ‘played into the hands of all those in the key positions of establishment…aimed at destroying our basic democratic rights’. In a press release by the CPGB’s London District Committee, the CPGB declared that it had ‘by far the largest number of individuals of any single organisation involved in the demonstration’, with approximately 500-600 numbers involved. The press release stated that, ‘At no time did our Party contemplate, nor did it take part in any discussions that contemplated of bringing about any physical confrontation with the police or anybody else at this demonstration’. According to the Party, there was ‘absolutely no reason why the police could not have contained the situation peacefully at all times’ and the police had ‘undoubtedly mishandled the situation’. For Cohen, this was the lesson of the Red Lion Square demonstrations: ‘For the sake of the humanity don’t let the adventurist tactics of a minority, and the way they are seized on by the media, divert from the main question…Root out this evil’. In the days following these were calls for an inquiry into Gately’s death. NUS President John Randall was quoted in the Morning Star as saying, ‘We now know that Kevin Gately died as a direct result of police violence’. By the end of the month, Lord Scarman had been placed in charge of the inquiry, conducting a tribunal with witnesses throughout September 1974 and a report was eventually produced in February 1975. Scarman’s conclusions strongly defended the police force’s actions and criticised the demonstrators, primarily the IMG and the naivety of Liberation, for the violence. The report was ‘unable to make any definite finding as to the specific cause of the fatal injury which Mr Kevin Gately suffered’. Scarman largely absolved the police of any wrongdoing. Scarman concluded that the police were ‘right not to ban the National Front demonstration’, but recommended that the Race Relations Act needed ‘radical amendment to make it an effective sanction’. As Scarman could not discover the direct cause of Gately’s death, in his judgement he found that ‘those who started the riot carry a measure of moral responsibility for his death; namely the IMG, who he believed had ‘initiated the disorder by their inexcusable assault on the police cordon’. The overall lesson that Lord Scarman had for the anti-fascist movement was ‘co-operate with the police’. The CPGB were critical of Scarman’s dismissal of the failure to ban the National Front march under the Race Relations Act. Demonstrations that ‘conflict with the law…should be banned’, Gerry Cohen stated, as the incitement to race hatred had been outlawed by the Act and warned if ‘Fascists are allowed to parade, and propagate racist views’, then ‘members of the public are going to react in a hostile way’. 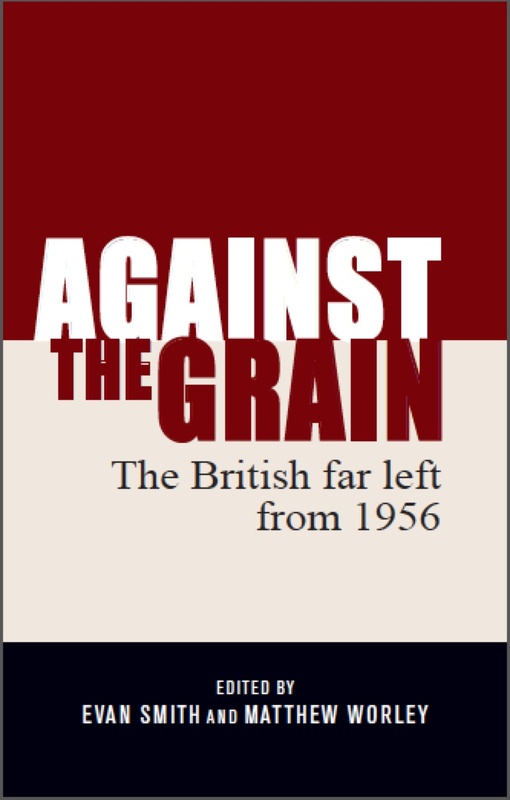 To remove the threat of conflict from anti-fascist/racist protestors, the CPGB recommended strengthening the Act, which would ‘immediately remove one of the major sources of conflict situations giving rise to issues of public order and demonstrations at the time’. 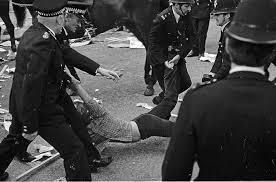 In a pamphlet published by the NUS, the Scarman inquiry was criticised for providing ‘a political platform for the police prosecutor’ and ‘permitted in a legal sense a continuation of the police action in Red Lion Square’. In the aftermath of Red Lion Square, the number of anti-fascist demonstrators increased dramatically and continued to rise throughout the mid-to-late 1970s. As Nigel Copsey wrote, ‘despite adverse publicity that the Red Lion Square disorder had generated for the left, more anti-fascists than fascists could be mobilised at street level’. Any other suggestions for ‘must-read’ in this area?